The quiet embrace of nature can be found just about anywhere if you look hard enough; luckily for you, your escape is around every corner on this Western Canada adventure. 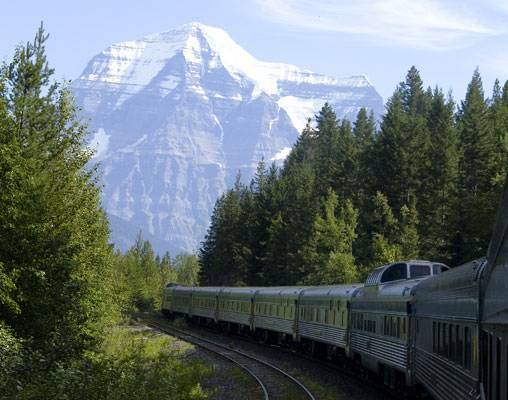 On this 10-day rail tour, you will experience the natural beauty of four of Canada’s most enticing destinations: Whistler, Vancouver, Jasper and Banff. 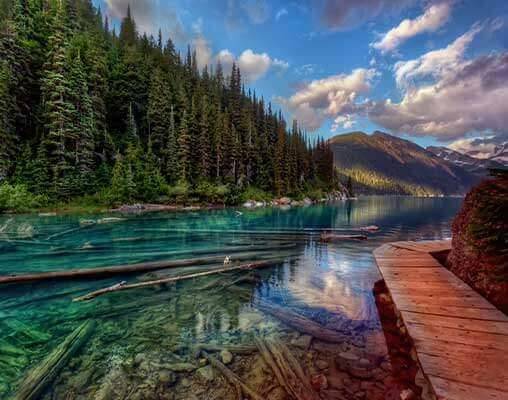 You will observe bears in their natural habitats in Whistler, walk amongst soaring fir and cedar trees in Vancouver’s coastal rainforest and discover the many species of wildlife that call the Canadian Rockies home in Jasper in Banff. 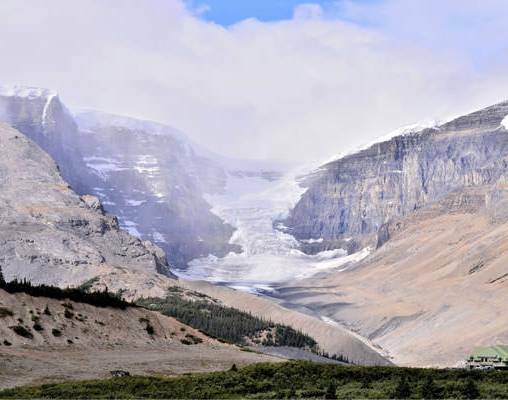 Along the way, you will ride aboard the famed lines of VIA Rail’s Canadian and will have a chance to go out on ancient ice, as you explore the Columbia Icefield and Athabasca Glacier. Rounded out by exciting opportunities in each destination, fantastic hotel accommodations and ample free time to sightsee on your own, this tour makes it easy to experience some of the best things Canada has to offer. 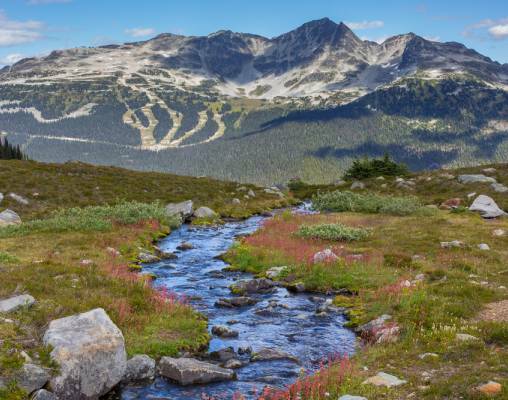 Arrive in Vancouver, board your coach and transfer to Whistler. You will have the remainder of the evening to grab dinner in one of Whistler’s restaurants and to get acquainted with the unique vibe of this mountain town. Overnight Whistler. Get an up-close look at some of Blackcomb Mountain’s most famous inhabitants, black bears, on today’s guided tour. Your expedition begins as you set out into the mountains with a team of trained guides. Information about the region’s flora and fauna will be presented, and as you travel by 4x4 vehicle, you will catch glimpses of bear dens and family daybeds. Because the black bears in this region have been studied closely for over 20 years, you will learn about bear behavior and the efforts of Whistler’s resorts to peacefully coexist with these creatures. As the winding roads approach bear feeding sites and safe viewing areas, you will even have the opportunity to observe from outside the vehicle. As you return to Whistler following the tour, the rest of the day is at leisure. Overnight Whistler. The beauty of lush forests, soaring mountain peaks and the coastline surround you as you are transferred from Whistler to Vancouver this morning. As you arrive in Vancouver, you will check in at your hotel before embarking on another adventure - this time from the comfort of a plush seat in the heart of downtown Vancouver. FlyOver Canada is a state-of-the-art experience that combines awe-inspiring views of some Canada’s most magnificent locales with some of the latest technology. Secured into a seat, you will be suspended above the ground as you “fly over” Canada. As the experience takes you from the East Coast to the West, you will feel the wind in your hair and smell scents of nature. You will have mist sprayed upon your skin as your chair tilts, dips and maneuvers through the clouds. Following this full-sensory experience, you will have the remainder of the day to see the sites of the city on your own. Perhaps walk through one of the many parks or beaches, or sightsee your way through downtown, taking in the diverse districts and unique shopping and dining opportunities. Overnight Vancouver. 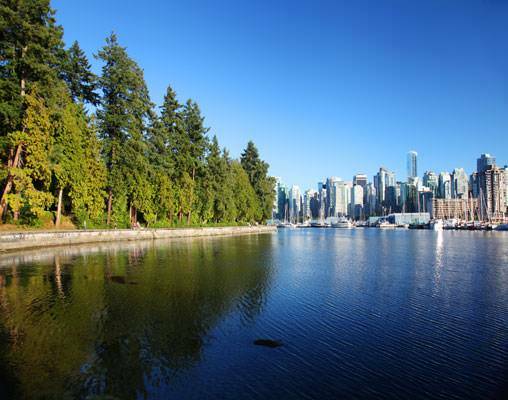 Vancouver’s fascinating past and present come together in this tour that traverses through urban cityscapes, seaside parks, and ancient rain forests. Begin with the highlights of downtown, including Canada Place, the Arts and Financial Districts, and Robson Street. Enter the 1,000-acre urban rainforest, Stanley Park, where you visit the First Nations Totem Poles. Continue across the Lion’s Gate Bridge to Vancouver’s scenic North Shore, and the Capilano Suspension Bridge Park. Don’t miss the impressive collection of First Nations artwork and the historic Story Centre. From the spectacular Cliffwalk, gaze out over the Capilano River before you walk across the Capilano Suspension Bridge to the other side where many unique experiences await. Return to downtown Vancouver and get ready to engage all your senses as you step out into Granville Island Market. This market is an artisan haven for all things local and hand-made, including delicious food, coffee, tea, eclectic artwork, and west coast music. Carry on through bustling Chinatown and continue to historic Gastown. Overnight Vancouver. Explore Vancouver’s incredible dining scene as you enjoy breakfast or brunch downtown this morning before you take a taxi (included) to the VIA Rail Station to board VIA Rail’s Canadian for an overnight journey to Jasper. Watch as the vistas change from mountains to plains and forests as the Canadian makes its easterly journey into Canada’s interior. On the train, you will have access to the domed sightseeing car, as well as delicious chef-prepared cuisine in the Dining Car and comfortable accommodations. Overnight train. You will glide through the landscape in comfort and style as the train makes its way into the mountains, this time the Canadian Rockies, and arrives in the resort town of Jasper. Transfer to your hotel, and upon check-in, you will have the afternoon to sightsee, explore and enjoy the beauty of nature. There are hiking trails to set out upon throughout the national park, as well as many outdoor activities, such as biking, rock climbing, kayaking and canoeing. There is also a golf course within Jasper National Park. Venturing outside the park, Jasper itself offers an array of shops and eateries, a museum and an exciting Skytram that takes riders above the rugged landscape below for a bird’s-eye view. The surrounding area also offers plenty to do, with Maligne Canyon and Lake nearby. Overnight Jasper. Spend the day exploring Jasper on your own. Perhaps you will revisit favorites from yesterday or you will blaze a new trail through the town or national park. Later, you will embark on a Wildlife Discovery Tour to experience some of the best wildlife viewing areas throughout Jasper National Park. A knowledgeable guide will provide valuable information about the park’s animals - including bears, big horned sheep, elk, eagles and more. While most of the observation is done from the safety of the bus, you will be able to get out and take pictures of the scenery and the animals that call the park home. Overnight Jasper. As a resort town, Banff has so much to offer visitors. See for yourself as you spend the day exploring the sites on your own. There is a multitude of activities throughout the national park - everything from guided ranger walks to visits to scenic lakes, such as Moraine Lake and Lake Louise. Banff Upper Hot Springs is a favorite of visitors, as is Johnston Canyon, with its waterfalls and great climbing opportunities. 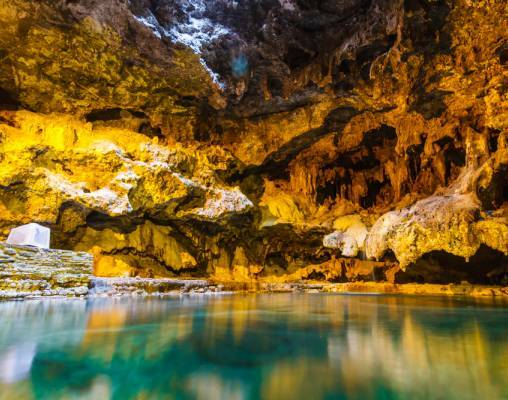 You can visit the Cave and Basin National Historic Site or one of the interesting shops and galleries in Banff. Banff is also known for its gondola, which offers 360-degree vistas over the surrounding mountains. This evening, you will embark on a wildlife safari tour. As the sun sets behind the mountains, some of Banff’s largest mammals come out to explore. With a trained guide driving, you will get an up-close look at animals such as grizzly bears and mountain goats as you traverse the landscape of the park. Overnight Banff. You will be transferred from your Banff hotel to Calgary International Airport this morning for your return flight home. Moderate: Delta Hotels by Marriott Whistler Village Suites, Coast Coal Harbour Hotel, Whistler's Inn, Delta Banff Royal Canadian Lodge. VIA Rail accommodations are Sleeper Plus Class in a semi-private berth. Meals are included onboard, as is access to the sightseeing lounges. Superior: Westin Resort & Spa Whistler, Pinnacle Vancouver Harbourfront. Sawridge Inn & Conference Centre, Rimrock Resort. VIA Rail accommodations are Sleeper Plus Class in a Private Cabin with included meals and access to the sightseeing lounge cars. Deluxe: Fairmont Chateau Whistler, Fairmont Waterfront, Fairmont Jasper Park Lodge, Fairmont Banff Springs. VIA Rail accommodations are Sleeper Plus Class in a Private Cabin. Meals are included onboard the train, as is access to the sightseeing lounge cars. Enter your details below if you would like to be notified when 2021 dates and prices are available for Experience Whistler, Vancouver & the Rockies. Prices are correct at the time of publication, however are subject to change at time of booking. Hotel and Rail accommodations listed above, are subject to change based on availability at the time of booking. Prices are land-only, per person based on double occupancy. Taxes are not included on rail portions and are subject to change. Cabins purchased on VIA rail for a single traveler are Cabins for 1. For upgrade options, ask your rail specialist for details.